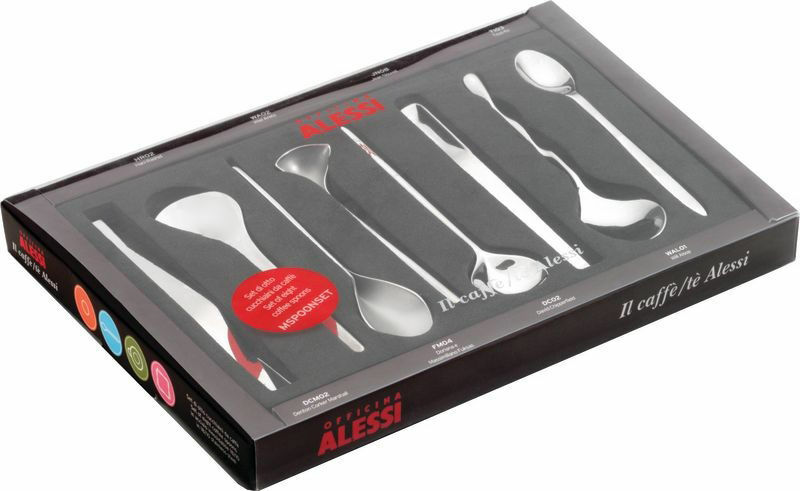 This set of eight coffee spoons is an outcome of Alessi’s “Tea and Coffee Towers” project from 2003. 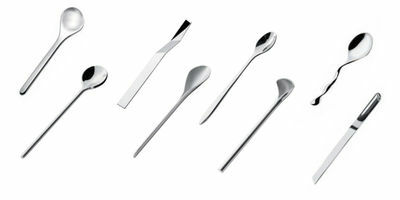 The aim was to let the greatest international architects create coffee and tea services. They were confronted by designing such objects for the first time. 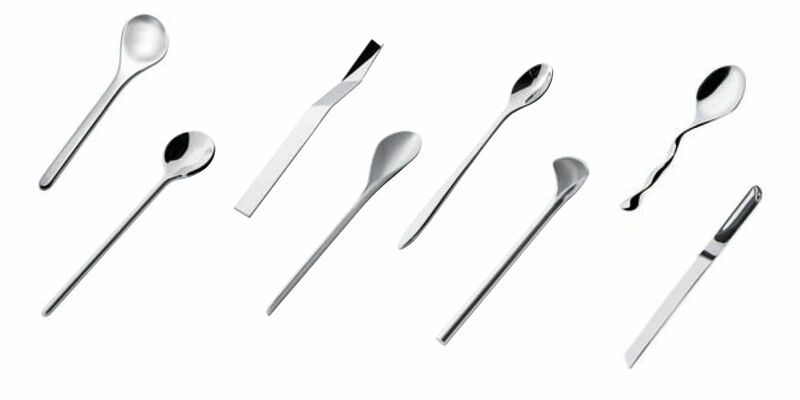 These eight small coffee spoons were thus designed by eight participants of this project. An excellent occasion to take home a collection by the best contemporary architectures – David Chipperfield, Denton Corker Marshall, Doriana e Massimiliano Fuksas, Hani Rashid, Jean Nouvel, Toyo Ito, Wiel Arets and William Alsop will join you in the kitchen!